When it comes to the best riverside campsites around the country, these cracking spots are all up there. Not all campsites are created equal. Sure, there are plenty of good ones out around, there’s not even a shortage of great ones, but you know what? 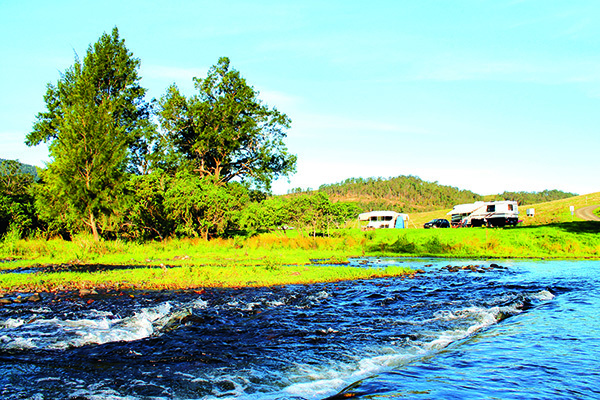 Coorongooba Campground in Wollemi National Park is a dead-set bloody corker! It’s nestled along the banks of the prestigious Capertee River, which is known for its crystal clear waters and pristine surrounds. 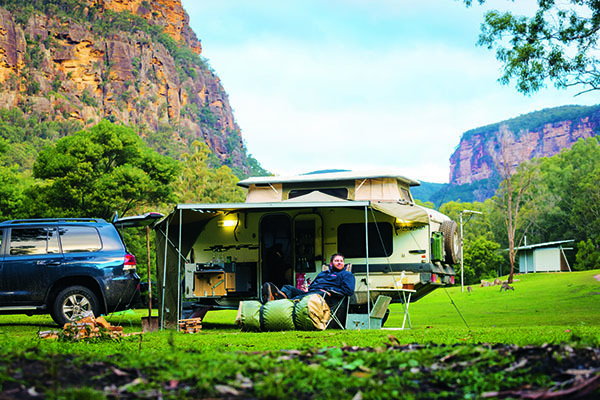 But wait, there’s more: just when you thought it doesn’t get any better, you’ll find the campsite is totally surrounded by some of the most spectacular cliff faces in the country, bar none! That’s right, this little gem is a real world double whammy! If you’re coming from the east, head to the little town of Capertee on the Castlereagh Highway, before hanging a right just before the pub, which does a top feed might we add, passing through the little town of Glen Davis about 20km down the road as you get ready to have your mind blown. Seriously, the drive into this little slice of heavenly goodness will have you pointing, staring and grinning like you just won the Easter hat parade back in kindergarten. Towering sections of granite and sandstone cliffs line the entry road at a distance as you meander through scenic country pastors and negotiate a few bumpy section of track. The same can be seen if you enter in from the west, via a dirt road from Kandos. 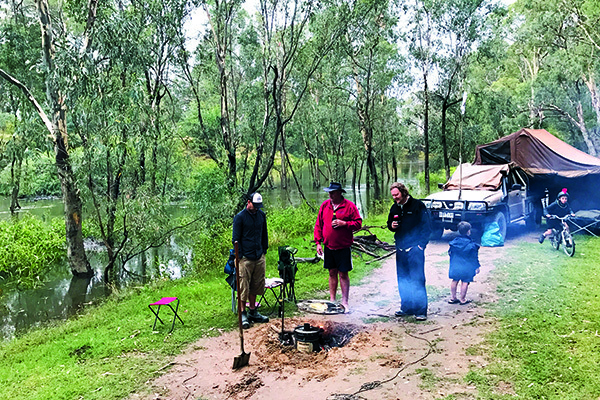 While you’re nestled into the perfect little campsite with the billy boiling over a few hot coals, you can expect dozens of wallabies and kangaroos to make your acquaintance too – they love the smell of a freshly brewed cuppa! Watch the sun light up the clifftops in a majestic and surreal kind of way around at dust and dawn, and if it’s getting a little hot, why not go for a swim to cool down? If it’s been raining you could turn that busted up camping mattress into a lilo and go for a real adventure while you’re at it. If the river isn’t running that hard you can pack your backpack and go it on foot with a fishing rod – it’s worth it! This area is a real haven for birdwatchers. In fact, it’s listed as an “IBA” or “Important Bird Area” with several signs highlighting the best bird watching sites in the park. Most Saturdays at 2pm you can take the tour of the old Glen Davis Shale Oil Works. It was a strategic resource during the war era, and was one of the largest employers in the area with around 2500 people living in the township. These days its remnants are a little rough around the edges, but with the towering cliffs of the Capertee Valley standing guard it’s definitely worth checking out for yourself. If you live south of the Great Dividing Range, few things break the winter doldrums like a week away on the Mighty Murray River, and if you don’t mind a cheesy serve of yesteryear you simply can’t go past the family-friendly Echuca. 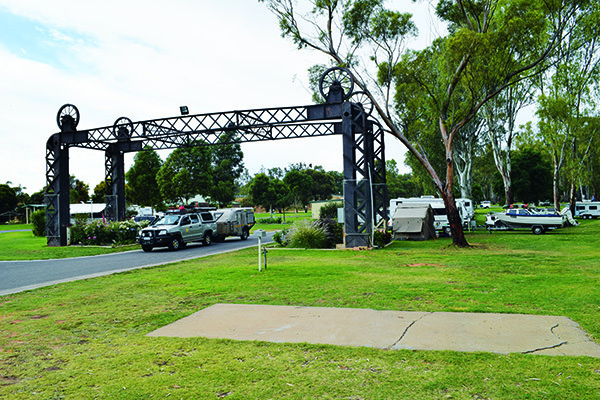 Free waterside campsites are found as close as five kilometres to the township’s centre, providing the kids an opportunity to greet volunteers in traditional 1850s garb, sample ol’ ye treats at the vintage lolly and ice-cream stores or kickback and enjoy a river cruise aboard a paddle steamer. 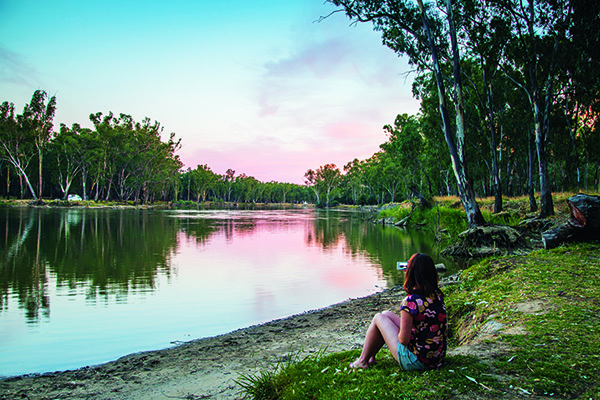 If you’re there for the 4WDing, you won’t find a lot but you may enjoy a leisurely drive along the river’s edge or a few fire trails within Barmah National Park. If free camping with all the space in the world is your thing, you’ll love The Pines campground on the shore of Blowering Dam near Tumut on the edge of the Kosciuszko National Park in the NSW Snowy Mountains. 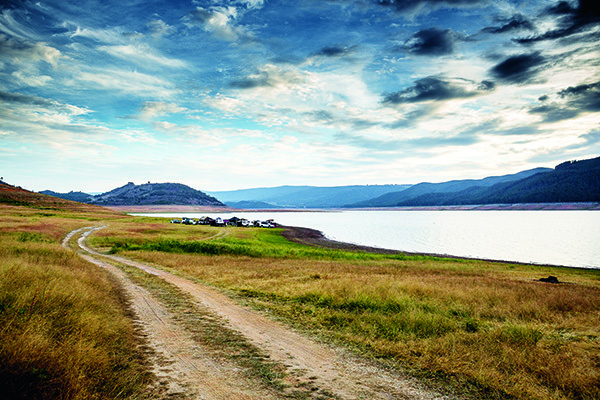 The landscape here is windswept and wild with broad swathes of grass fringing the edges of the vast dam in all directions. The view from camp, as a result, is uninterrupted with an incredible mountainous backdrop and sunsets worth writing home about. And then there are the stars… The crisp high altitude air is no much for their exuberant evening performance. Part of the Snowy Mountains Hydro-electric scheme, Blowering was completed in 1968 and, in addition to hydroelectric power, is also used for irrigation, water supply and recreation. Less than an hour from Gundagai on the Hume Highway via the exceedingly pretty little town of Tumut, this campsite is super accessible and right on the door step of the treasures of the Snowy Mountains, including Yarrangobilly Caves (just 10 minutes up the road) and the Long Plain Road 4WD touring route which takes in Blue Waterholes, Clarke Gorge and countless historic cattlemen’s huts. If you’re bound for Adelaide or Melbourne via the Great Ocean Road make sure you stop and linger at the Lower Glenelg Park straddling the border of Victoria and South Australia. You’ll find a phenomenal network of riverside campsites nestled within its borders and superb conditions for fishing and canoeing (take care though, as the tides are strong). There are barbecue facilities and a boat ramp at the Donovans but if you want fuel, tackle or to hire a canoe, check out the nearby township of Nelson. 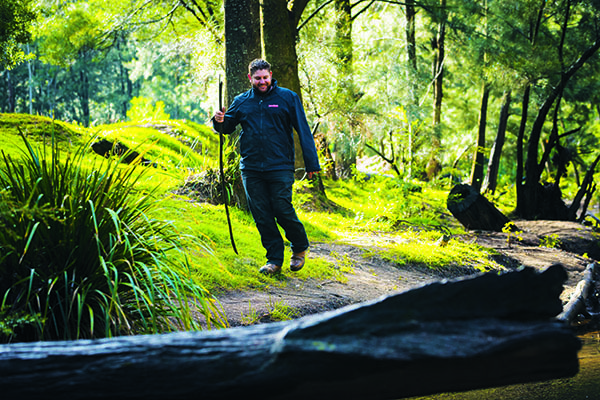 If you stop in at the visitor centre, they’ll word you up on the top bushwalking haunts in the NP and on how to access the Princess Margaret Rose Caves. Every now and then you stumble across a place that makes you realise just how much you love camping and, in my opinion, Georges Junction is one such place. There’s just something about taking a dip in the crystal clear waters of the Macleay River on a warm afternoon. Steep scenic mountains make you feel like you’re in a totally different country and billions of smooth river rocks are pretty much the ultimate setting for a relaxing weekend away. Then you go and add in a great little low-range track that follows the river, along with a dozen other cracking little swimming spots along the way, and you’ve got yourself one hell of a weekender! 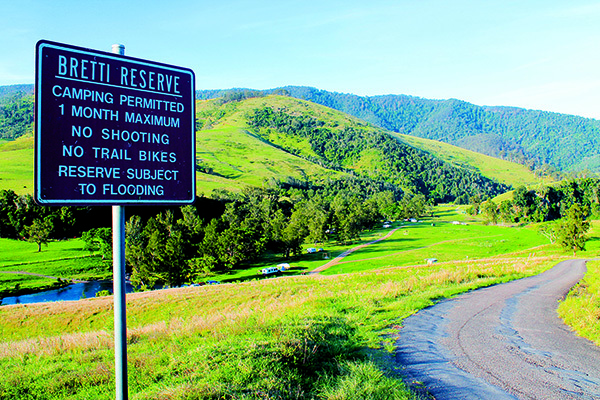 You’ve got a few options when it comes to choosing your home for the night – the main campground is nice and flat, and sits right above the river. The other option is to hook a left as you enter the campground and follow the river up a bit to find a slightly more secluded spot. For the ultimate hidden hideaway, take the track right through the guts of the river along the rocks and grab yourself a piece of prime real estate down by the water, if your setup doesn’t need to touch the ground. One of my favourite parts of Georges Junction is the track that runs alongside the river, which is commonly called The River Run. You’ll want to drop your tyre pressures down to about 18-20psi to help them mould over the thousands of odd-shaped river rocks, lock the hubs in and select low-range. It’s not a hard track, but you’re better off leaving your camper behind to avoid bottoming out here and there. Alberga Waterhole is a sweet reward for the persistent overlander seeking refuge from the dry desert heat in the Pedirka Desert. Roothy found this delicious spot on a gruelling yet picturesque stretch of Old Oodnadatta Track but you can establish camp on the banks of one many tributaries feeding from these pristine water via the ‘main’ route south between Marla and Oodnadatta near Todmorden Station. Blushing wild flowers and Sturt desert pea hold their own after the rains against the flame-coloured plains and vibrant skies here as you negotiate the gibbers. Don’t expect flushing toilets and conveniences here, although if you reach it I’m tipping you’re already self-sufficient: definitely one for the experienced remote area traveller. 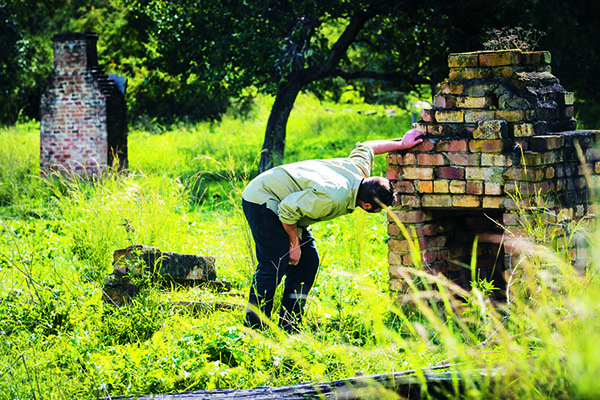 It’s amazing how far miners and pioneers pushed themselves on the promise of a buck, judging by the historical treasures hidden deep along the windy, overgrown tracks within the Dargo High Plains. Riches like the old Talbotville Cemetery and former New Good Hope Mine await curious travellers establishing camp on the Crooked River. You will need your wits about you to get there though, with plenty of challenging 4WDing terrain. 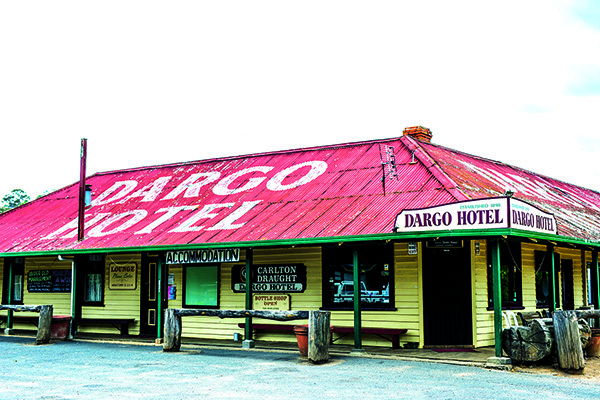 And after days of low-range grinding, return to ‘town’ at Dargo for your choice of hospitality, a decent feed and fair share of tall tales at either the Dargo River Inn or the Dargo Hotel. 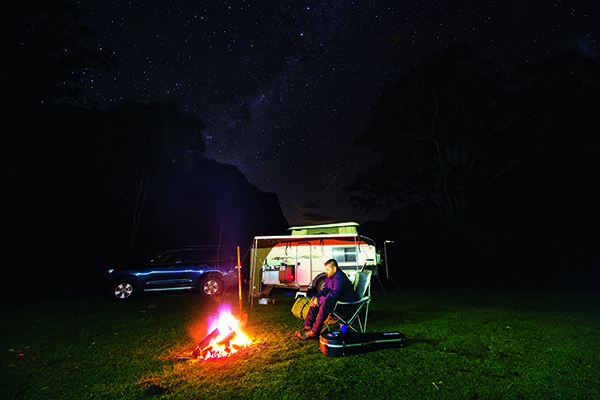 For an excellent spot to camp during your drive along the scenic Thunderbolts Way, try Bretti Reserve in the lush rolling farmland of the Barrington Tops region in the hinterland of NSW’s Mid North Coast. 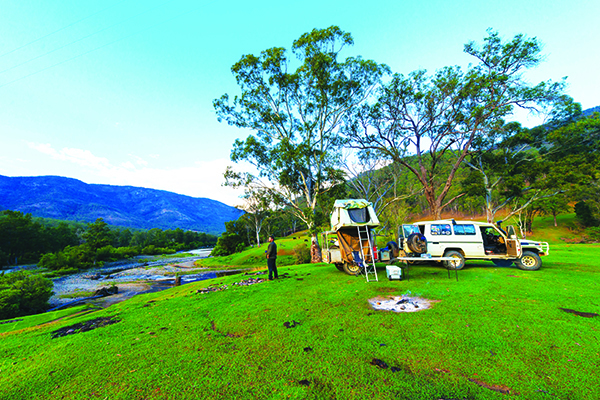 This free, wonderfully grassy campsite is very large and scenically located alongside the trickling Barnard River. It’s suitable for camper trailers and is dog-friendly – but always remember to consider your fellow campers and have your dogs under control at all times. One of the wonders of growing up were the Easters (23 of them) spent on the Goulburn river near Shepparton in central Victoria. Back in the early days, we had the place to ourselves but now its become very popular with people escaping to the near countryside on weekends. The allure that our little patch of paradise holds is that it hasn't been flogged out by unthinking campers. It's almost like people that come there respect it for what it is because they see that the people before them have cared for it too. It will never fade from my memory or be replaced for the next best thing. 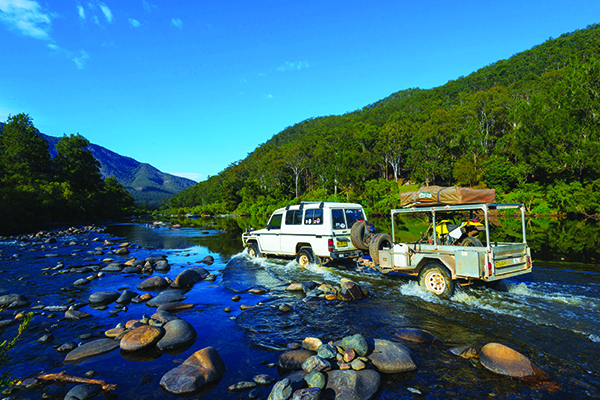 Of course there are many more remote places that I've camped, but none harbour the memories of our camp on the Goulburn River. Situated on the Sturt Highway and next to the mighty Murrumbidgee, Balranald Caravan Park is a great stepping off point in this iconic region. Think of the World Heritage Area of Lake Mungo, the Pink Lakes of Murray Sunset NP, the Riverina and the river red gums along the Murray and Murrumbidgee rivers. Balranald itself was a campsite of Burke and Wills as they headed north and the town has plenty of pioneering heritage. 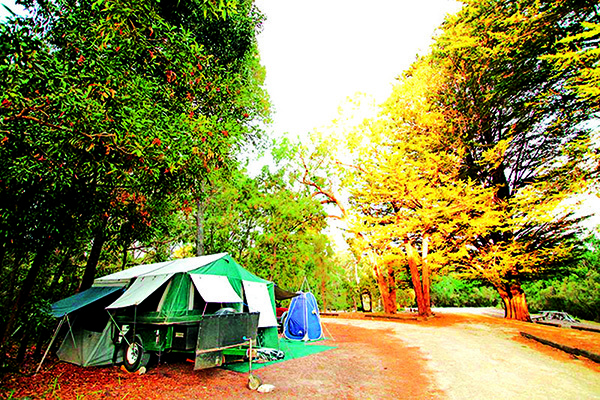 The well-maintained park provides a camp kitchen and a small swimming pool. With grassy drive-through powered sites and a large unpowered camping area, it's easy peasy. Anglers hard on their luck can get down to ‘Parmy’ night (Wed) at the Shamrock Hotel just around the corner.